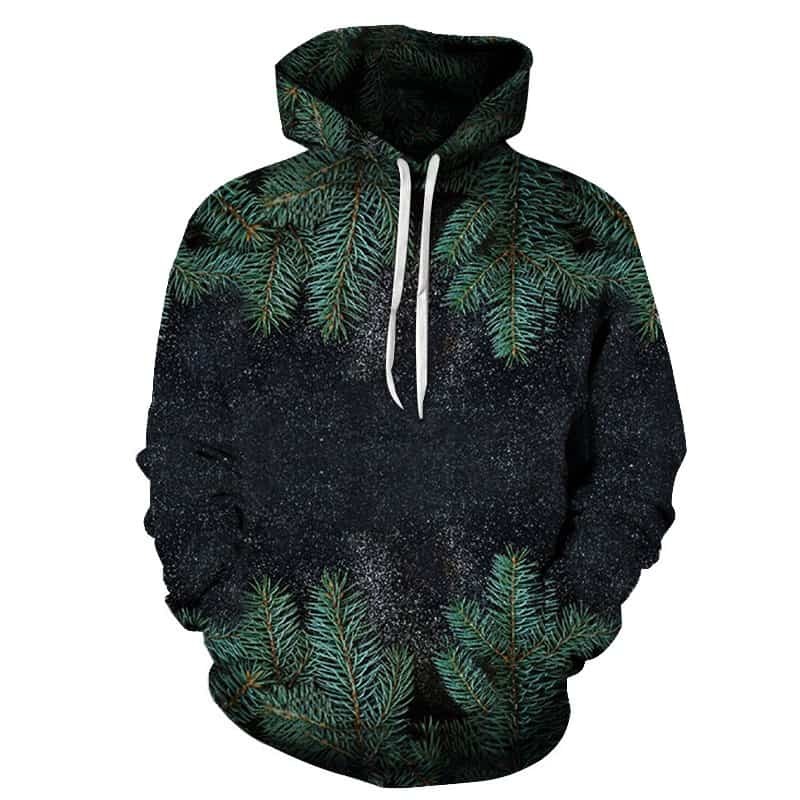 Various shades of green and black, the fern leaf hoodie is very stylish. Natural and chilled. 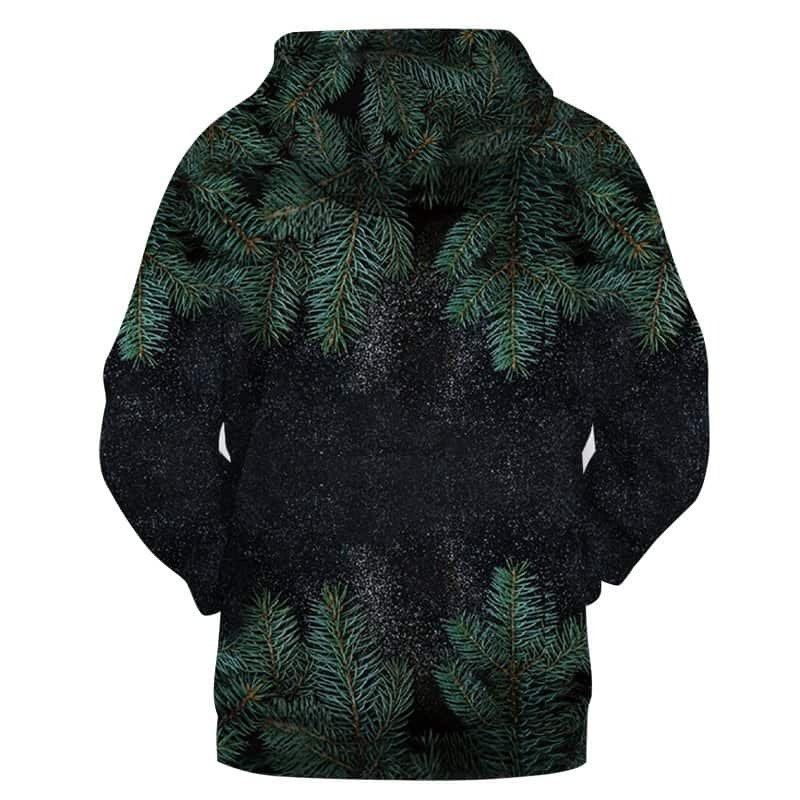 The print is highly detailed, with the ferns looking realistic on top of the patterned black background. The hoodie is comfortable to wear, looks fashionable and is wearable anywhere. It was designed for both male and female.